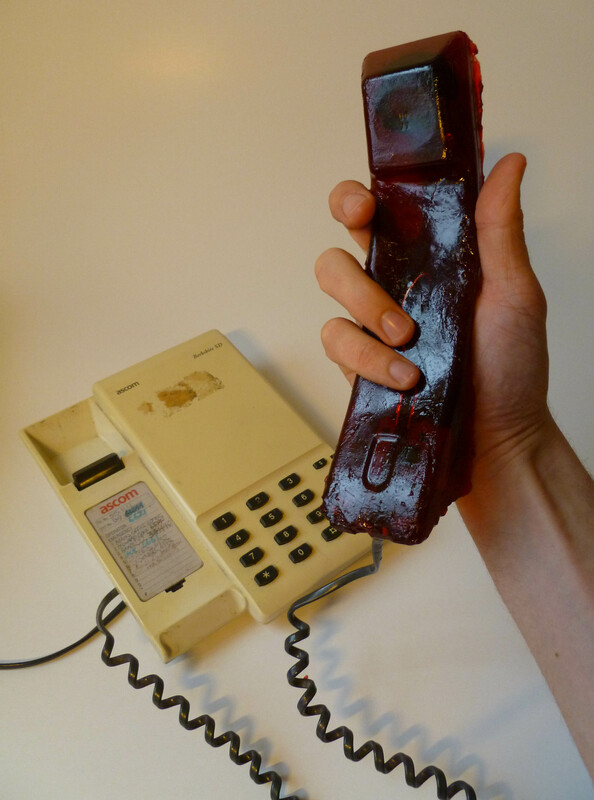 ‘Jelly Phone’ is a current experimental research project. 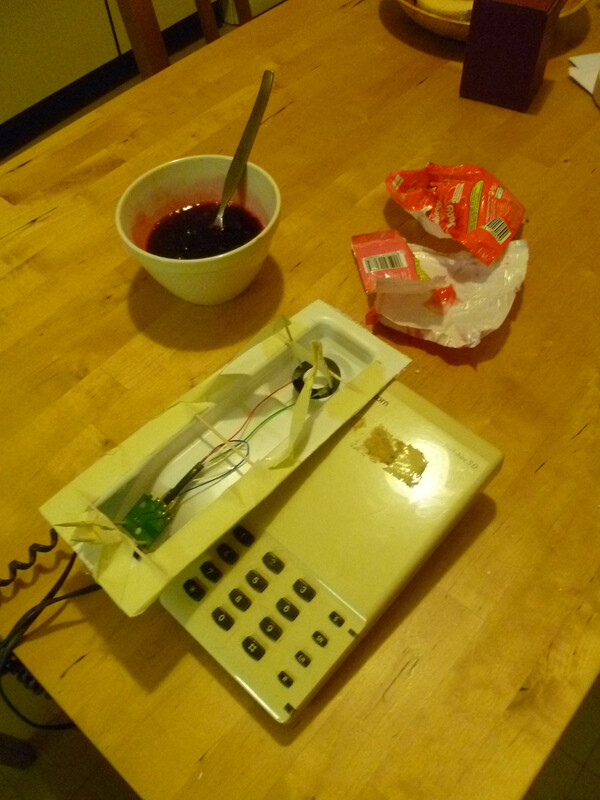 Jelly; when presented as a possible housing material for electrical consumer products, it does not immediately inspire. Jelly is wobbly and clammy to hold, has low structural integrity, high conductivity and could potentially stain, fall apart, melt or otherwise spoil. On the other hand, it is mouldable (indeed re-mouldable), is made primarily of a replenish-able bi-product (so is sustainable), is edible (for some), cheap and it looks fun and cheering. I am interested in ‘Jelly Phone’ first and foremost, as a fun, technical challenge, a visual gag and a play on words, but I also think that ‘Jelly Phone’ may lead me to investigate further some deeper questions concerning technology, design and production techniques as well as multifariously sprawling questions concerning Western-world product culture and consumerism: Perhaps questions concerning a paradigm shift in the accepted models of product-life cycle. Has plastic had it’s day? Why not make electronic products that can be eaten or composted instead of simply being buried or burnt? 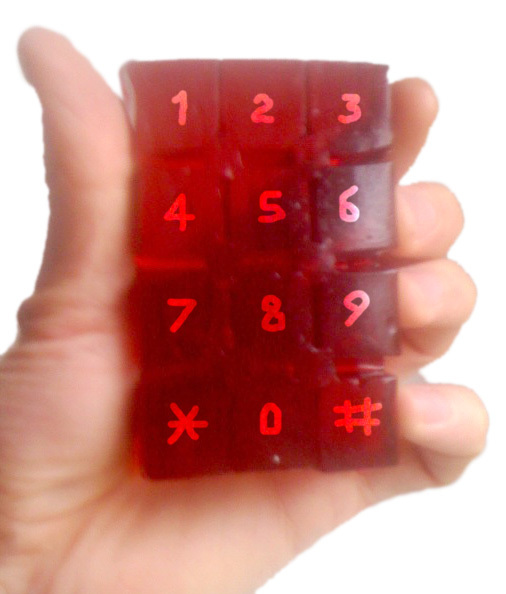 Could working Jelly Phones (products) be made at home in the same way one would mould a jelly dessert? …and if so, would anyone want to? Developments in the fields of edible technologies, conductive inks and nano-technology could provide the answers to the aforementioned challenges. Rapid Manufacture (RM) could start a new consumer-led manufacturing revolution in the UK as the technology moves gradually, out of the research labs and hobbyist garages and into the everyday home where products will be selected, personalised and then manufactured from the kitchen desktop. Perhaps ‘Jelly’ – or other edible foodstuffs – could be a viable RM medium? 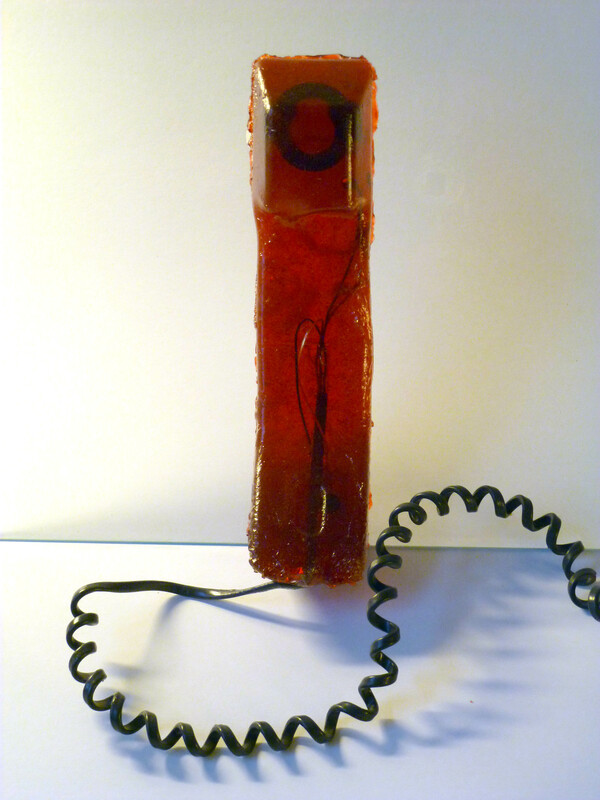 On the making side of things, I have begun building prototypes; casting jelly into phone-shaped moulds and embedding reclaimed phone components into them. 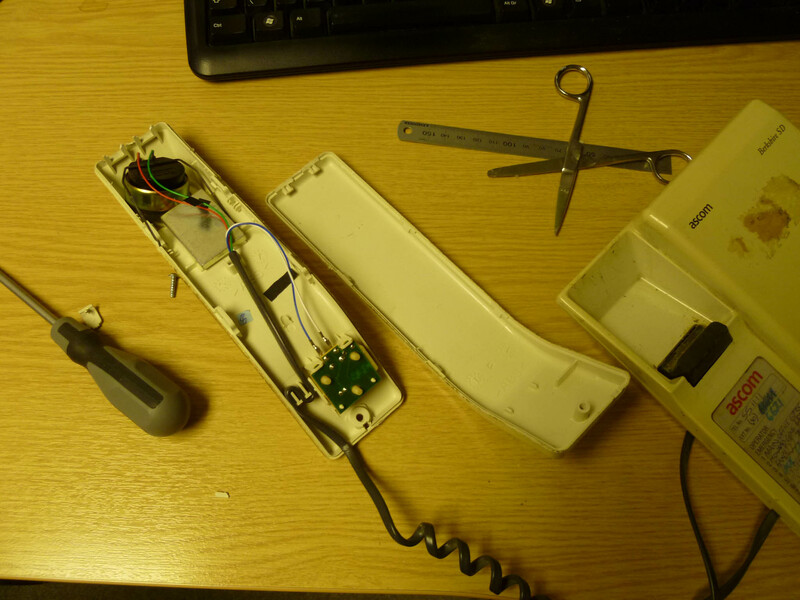 I hope to have a working Jelly Phone very soon. 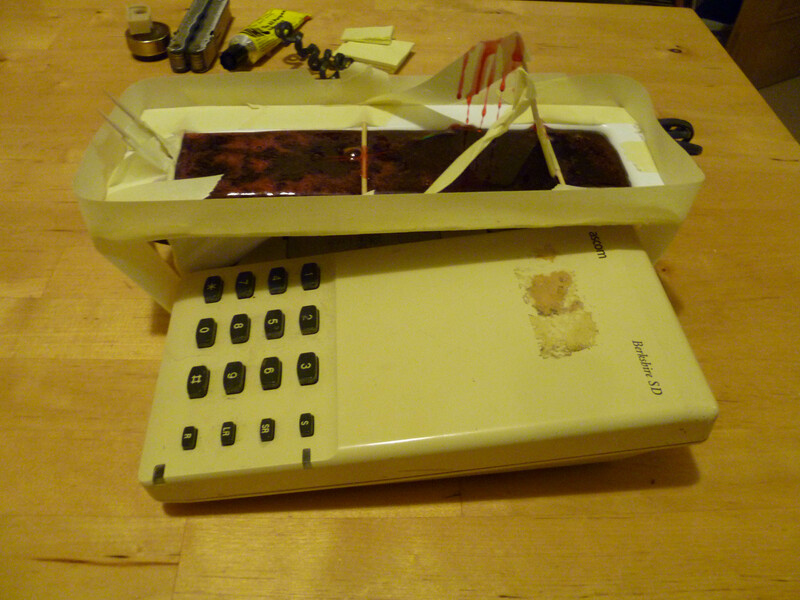 I hope to show the ‘Jelly Phone’ project at a Dorkbot Cardiff meet sometime soon. Dorkbot is a community of people “doing interesting things with electricity!